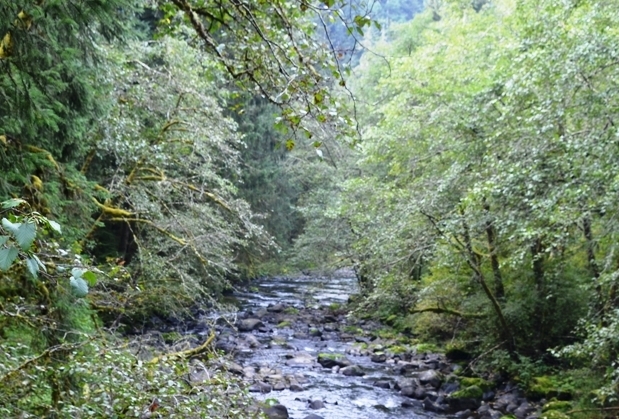 This stream enters the Nestucca River near Hebo in southern Tillamook County and, has been a big producer of winter steelhead several years, Three rivers also offers a smaller summer steelhead run as well as spring and fall chinook. Three river is hidden treasure and can produce better catch rates that the Nestucca during certain times of the year. This river is generally open year round for steelhead, Spring Chinook runs April to July and Fall chinook October thru December. Generally allows 2 adult fin clipped chinook or 2 fin clipped steelhead per day! Barbless hooks are required when fishing for salmomn or steelhead in most Oregon waters see regs for details. Natural scents tend to work best like bait fish scents, salmon eggs or shrimp. Floating jigs or roe under a bobber work well when fishing for Steelhead, Also beads or corky and yarn drift set ups as well. No significant pressure unless peak season. Eye protection still recommended!